Make your vehicle stand out from the rest with a wrap or decals. Our designers can help you to create visually appealing graphics for your vehicle that will get noticed. First responders are constantly in harm’s way. 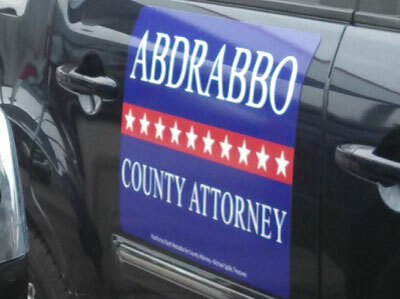 Our reflective graphics help to keep them visible and safe while they are focused on the public’s safety. If you need materials to help promote your business, or if you need a logo designed for a startup business, then our years of design and marketing experience are just what you need. 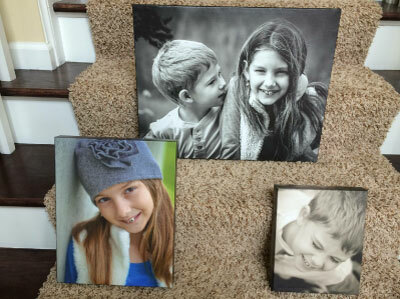 From small yard signs, to large panel signs, we can print your specific graphics and mount them on the best material to make the perfect sign for you. 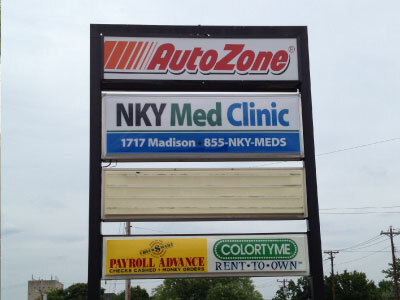 Our capabilities do not stop at printed signs. We employ artists who have a wide range of talents so you, the customer, are able to get the exact sign/artwork that you desire. 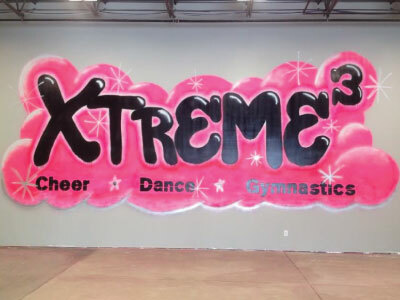 This video shows a time-lapse of applying a customer’s logo (Xtreme 3 Dance Studio) to the wall inside their studio. This particular customer wanted to be different from the rest and decided to have their logo hand painted in graffiti style. This was not a “normal” sign request, however our artist was more than happy to produce this awesome interpretation of their logo. This dedication to our customer’s wants is what sets DiGi apart from the rest. No wrap job is too big or too small. If you have an old vehicle that has lost its appeal or have bought a new vehicle for your fleet that does not match, then we can help you fix that. Vehicle wraps are one of the quickest ways to completely change the look of a vehicle. This customer (Union Twp. Fire Dept.) has a fleet of vehicles that all match each other. When they bought a “new” engine, it was nowhere close to the look of the rest of their fleet. With a bit of 3M wrap material, and then their specific graphics package on top, we were able to make this look like a brand new truck that fit into their fleet perfectly. Alpha Omega Industries contains two world class companies that create a 1-stop-shop for all things pertaining to vehicle customization. 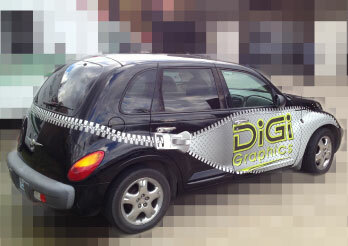 DiGi Graphics is the graphics and marketing company, and 911 Fleet & Fire Equipment is the vehicle up-fitting company. We have numerous years of experience in graphic design, marketing strategy, graphics production, and vehicle customization. 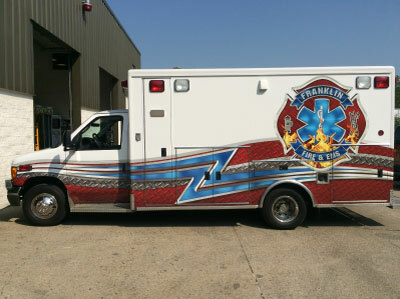 Our niche is the emergency vehicle industry, but we are capable of customizing almost any other type of vehicle as well. 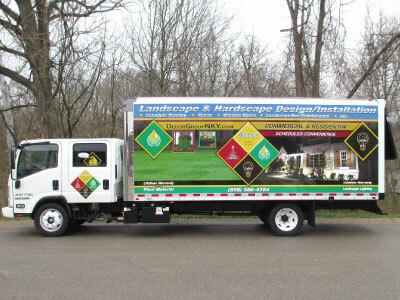 DiGi Graphics specializes in providing full impact vinyl graphics to commercial fleets of any size and type. We can create full wrap vehicle graphics, partial wrap graphics, logos and lettering while giving full consideration to existing fleet graphics and budgets. Vehicle graphics will be seen by more people than any other form of advertising so an investment in vehicle graphics for your fleet just makes sense even if it’s purely for branding considerations. No job is too big or too small. We can make it all. 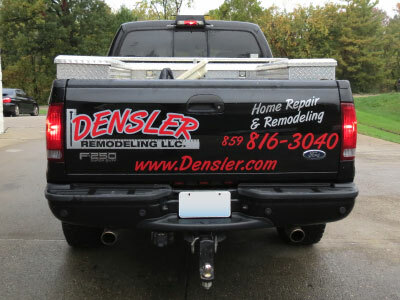 Whether you need lettering for a vehicle, storefront lettering/hours, your child’s sports team logo with their name, a decal for the wall of your “Man Cave”, or a forest scene accent wall in your home, we’ve got you covered. Our skilled designers/vinyl technicians are prepared to give you what you are looking for and to assist if you need ideas. Orders of 1 or 1,000 will be no problem for our skilled crew. If you need them installed we have an on-site installation facility for installs in any weather, or we can come to your location. 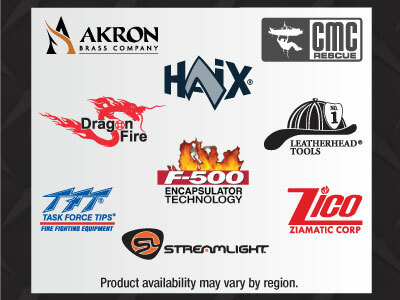 For orders and/or estimates on jobs, please email us at digishop@digigc.com or call us at 513.200.3004. Please make sure to include the below info for the quickest turnaround and best results.